Manchester Metropolitan University Young Voices Study is just coming to the end of the pilot phase, during which the researchers wanted to gain a better understanding from young people about their experiences of hearing voices, as well as hearing from parents/carers. Through interviews and an online survey, they heard from over 100 young people and parents about varied experiences of voice hearing, additional sensory experiences that accompany voices, difficulties accessing tailored help for young people under 14 years old and many accounts of creative avenues that help young people cope (e.g. music, running, writing). They have a new PhD student joining the study in September to explore multiple sensory experiences with young people and are currently seeking funding to establish some support groups in the Northwest. For more information on the study, including links on how to take part, please click here. ISPS UK promotes psychological and social approaches to psychosis. We provide a place where professionals, people with lived experience of psychosis, family members and carers can share their ideas, hopes and struggles, and can examine their differences in constructive dialogue and debate. Our work includes organising national and regional conferences and workshops on key issues, supporting the development of local groups and special interest groups and promoting good practice in psychological approaches to psychosis. If you are passionate about creating a paradigm shift in how we understand and treat psychosis, and can spare a half day a month, please consider joining us. To apply to be a Trustee, please download our Trustee recruitment pack and send a CV and a covering letter to admin@ispsuk.org, by no later than Thursday 31st May. Interviews will take place on the 12th and 13th June. For an informal conversation about the role or organisation, please email us to arrange a chat with Akiko Hart. I have oftentimes found solace and a sense of connection in other people’s memoirs, which is why I read ‘Emily’s Voices’, a memoir by Emily Knoll which was published recently by Amazon. It feels important to me, in light of the Hearing Voices Approach, that a voice hearer has taken the step of writing about her experiences and publishing them for other people to read and to benefit from. Emily tells of her upbringing in a family where her mother prioritised her own emotional needs over those of Emily and her brother, and Emily was encouraged to keep her feelings about this silent. Emily’s mother puts pressure on Emily to succeed, especially in music, and often finds things to criticise about Emily’s cello playing. Years later when Emily is working as a live-in au pair, she finds herself up against a rather unkind employer, Gloria, who piles on the household chores and is very critical of Emily’s cooking. It is during this time that Emily begins to hear voices. Emily’s voices make cold, critical comments about Emily as if they are scrutinising her from a distance. For example, one of her one of her voices comments ‘I think she makes no effort’. Elsewhere, Emily tells us about a conversation with her mother, where her Mum tells Emily ‘part of the problem is that you don’t make any effort to meet a boyfriend’. Emily hints at a connection between her upbringing and her voices by including the facts of her life all together in one memoir. However, she leaves it up to the reader to join the dots. I hear an echo between the way Emily’s voices talk about her, and the way she writes about her own life: clipped, unemotional sentences of broken commentary. Emily helpfully discusses the stigma surrounding voice hearing and bravely admits that one of her biggest struggles is she stigmatises herself. We catch a glimpse of this when, worried about stigma, Emily tells her flatmate ‘My mental health problem doesn’t make me a psychopath’. I wonder whether Emily’s use of medicalising language is a way of self-stigmatising. Throughout her memoir, Emily frames her experience in terms of mental illness. Emily has internalised a medical view of her experiences, so much so that even her voices frequently diagnose her with schizophrenia, something she finds upsetting. 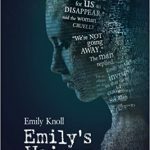 Emily looks in several places for support as she learns to cope with her voices. Two close friends, Beth and Daniel, talk openly with her about what she is going through, as does Emily’s Granny, who insists ‘a problem shared is a problem halved’. Emily writes poems, a journal, a short story, and connects to music to release her emotions. Her therapist, Daphne, supports her to begin to make sense of her voices. Perhaps the most important thing Emily does for herself is apply for a job on a research project about hearing voices. Here, her lived experience informs her work. Emily’s Voices is a success for me because I felt I got to know Emily. I grew familiar with her struggles and, in doing so, I came to recognise the value of her achievements as, step-by-step, she makes her journey towards a life she can be happy with. For much of her life, Emily feels lonely and even one of her voices points out ‘she wants to be understood’. In the careful scrutiny of her life across the pages of ‘Emily’s Voices’, Emily lets herself be understood. We asked attendees at the ISPS Liverpool conference: what is psychosis? This is a brief attempt to introduce The Power Threat Meaning Framework to ISPS-UK members. It was published on January 12th in London and attracted much interest with over 400 attending the launch. A group of senior psychologists (Lucy Johnstone, Mary Boyle, John Cromby, David Harper, Peter Kinderman, David Pilgrim and John Read) and high profile service user campaigners (Jacqui Dillon and Eleanor Longden) spent five years developing the Power Threat Meaning Framework as an alternative to more traditional models based on psychiatric diagnosis. They were supported by researcher Kate Allsopp, by a consultancy group of service users/carers, and by many people who supplied examples of good practice that is not based on diagnosis. The Power Threat Meaning Framework is a new perspective on why people sometimes experience a whole range of forms of distress, confusion, fear, despair, and troubled or troubling behaviour. It is an alternative to the more traditional models based on psychiatric diagnosis. The Framework summarises and integrates a great deal of evidence about the role of various kinds of power in people’s lives; the kinds of threat that misuses of power pose to us; and the ways we have learned as human beings to respond to threat. In traditional mental health practice, these threat responses are sometimes called ‘symptoms’. The Framework also looks at how we make sense of these difficult experiences, and how messages from wider society can increase our feelings of shame, self-blame, isolation, fear and guilt. The Power Threat Meaning Framework is thus an over-arching structure for identifying patterns in emotional distress, unusual experiences and troubling behaviour, as an alternative to psychiatric diagnosis and classification. The document sets out the conceptual and empirical basis of such a system and is intended as a foundational intellectual resource. It is important to note that it is not tied to a particular level of explanation (social, psychological or biological) or to a specific theoretical orientation such as cognitive, behavioural or systemic. Thus while it can be used as it stands, it can also be seen as a meta-framework within which many existing models and bodies of evidence can be accommodated, and which can be used to inform future projects translating the framework into practice. The PTM Framework offers a structure for restoring the links between meaning-based threats (such as betrayal, abandonment, physical danger) and meaning-based threat responses (such as hyper-vigilance, self-injury and carrying out rituals.) Placing all of these in the wider contexts of power and social/ideological meanings helps to identify some broad, probabilistic and overlapping General Patterns and regularities organised by meaning rather than (as with medical diagnosis) by biology. A main aim of the PTM Framework is to restore the aspects that are marginalised and obscured by current diagnostically-based practice: the operation of power, the links between threats and threat responses, the wider social, political and cultural contexts, and the meaning-making and agency of those who are struggling to survive within their embodied personal, social, socio-economic and material environments. Narratives in the broadest sense can offer, and in many settings and cultures already do offer, a rich and meaningful alternative to psychiatric diagnosis. The PTM Framework suggests ways of supporting, conceptually, empirically and practically, the construction and co-construction of narratives, both within and beyond service settings. The Power Threat Meaning Framework can be used as a way of helping people to create more hopeful narratives or stories about their lives and the difficulties they have faced or are still facing, instead of seeing themselves as blameworthy, weak, deficient or ‘mentally ill’. It highlights and clarifies the links between wider social factors such as poverty, discrimination and inequality, along with traumas such as abuse and violence, and the resulting emotional distress, confusion, fear, despair or troubled/troubling behaviour. It also shows why those of us who do not have an obvious history of trauma or adversity can still struggle to find a sense of self-worth, meaning and identity. As well as having implications for therapeutic or clinical work, the Framework suggests constructive alternatives in the areas of service design and commissioning, professional training, research, service user involvement, peer support and public information. It is important to note that Power Threat Meaning is an over-arching framework which is not intended to replace all the ways we currently think about and work with distress. Instead, the aim is to support and strengthen the many examples of good practice which already exist, while also suggesting new ways forward. The ideas presented in this project are necessarily described mainly at a theoretical level, and much more work will be needed to translate the conceptual framework into practice. The project team welcomes feedback and suggestions for adaptation and improvement, acknowledging that at present the work is at an early stage of development. 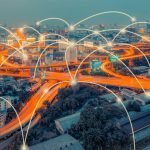 This is something that ISPS-UK members would be encouraged to do. The longer term aim is to make the PTM Framework into a publicly available resource, by developing accessible versions and materials to support professionals, carers, service user/survivors and anyone else who is experiencing/working with emotional distress. In the meantime, the Appendices in the Overview give some examples of how non-diagnostic alternatives are already operating, together with suggestions and resources for further implementation of these ideas and principles. There has been much interest on social media about PTFM especially twitter and blogs. Among the comments are: ‘It allows people to create their own theories about their lives”. It is “like a road map the PTFM offers a whole lot of routes but not necessarily the destination. We are going to have to work out where it takes us.” “How could it be applied to organisations that are seen as coercive?” There has been discussion about how to apply it within systems that are so diagnostically-driven, as well as often based upon a business model. I would recommend all ISPS-UK members to read it and give it a try! The Framework attempts to give us an alternative way of working with MH problems, something that many of us have been wanting for a very long time. The full version is quite long and detailed and consists of eight chapters. A shorter overview is available online as well and consists of Chapter 6 in the main document and is probably the best place to start to understand the Framework for ISPS members. It is available on request as a hard copy from membernetworkservices@bps.org.uk. There is also an introduction on the BPS website as well as a guided discussion and slides from the launch. These give a quick introduction to the Framework. Neil Thomas, ISPS UK Committee member until November 2017, shares some thoughts on his time at ISPS UK. Since joining ISPS UK and becoming a part of the Executive Committee, I have grown not only as a practitioner within my role as a Mental Health Nurse, but as a human being, reflecting on my own developed and constructed biases. The shared personal and professional experiences I have heard, discussed and been privileged enough to be informed about, will stay with me forever. I only wish I was able to give more back to ISPS UK. I cannot recommend ISPS enough for any experts by experience, carers and professionals alike who might want to be involved in an effective movement of likeminded individuals seeking to improve services globally for anyone who may be touched by a psychosis. Here, Judith Varley, ISPS UK Committee member until November 2017, shares some thoughts on her time at ISPS UK. My life changed irreversibly in the year 2000 when I found myself living on planet caring as an involuntary volunteer carer for my daughter. ‘Planet caring’ may seem a strange expression; it comes from a friend who maintains that once there are mental health problems in a family, life alters completely. You are marooned on another planet – one you have probably never heard of or encountered before and in which everything is rather, or very, different than previously, where you and your family will be treated differently, one to which you will have to adapt quickly, possibly for the rest of your life and for which you have neither expectation nor preparation. I have found all that to be true. My girl was at university, I’d planned to start a new life as a free adult untrammeled with child / family responsibilities, and had accepted a job in Denmark. Within weeks, those plans had evaporated for ever. I could not relate to my daughter, it was as if some alien had taken over her body and our previously good relationship had become ‘spiky’, unpredictable and difficult. Ward staff were busy with their patients and no-one had time to help me understand and learn how best to help either her or myself. Some staff treated me as if I was responsible for her situation and seemed openly hostile. I had been a respected professional so that barrage of antagonism was very new. It was a time of the deepest despair and isolation I have ever known. Friends didn’t know what to say or do and whilst I felt for their embarrassment, that didn’t help me either, and feeling awkward, they found it easier to leave me alone. For the first time in my life for months, I could see no way forward; I was lost. During those frantic months of confusion, distress and attempts at exploration, by chance, I met Andy, of the Liverpool Mental Health Consortium (now threatened by ‘the cuts’) and he became a mentor and guide, sharing his library and advising me on particular questions. Also, I met some other local carers and together we developed the Wirral charity ‘Family Tree’, a support group for carers of people with psychotic type diagnoses. Through Family Tree, we organised some local day conferences, meetings on specific topics and occasional social events. Also, around that time, I met people involved in Hearing Voices, attended one of their day events in Manchester, and saw a flier for the residential ISPS conference taking place in Manchester a few weeks later. It was the last flier and I was the last person to leave so I picked it up and applied. My application was accepted. The conference had a huge impact on me. Suddenly, I was speaking with people, lots of people, psychiatrists, psychologists, therapists of all descriptions, social workers, carers and service users who were well informed, welcoming, who understood and had positive attitude. I was back in a society where it was normal to ask questions. In the very first meeting, I was introduced to innovations; recovery seemed a real prospect, not a remote delusion. It was a real ‘Wow’ event and time for me. Clearly, ISPS UK was the society for me. At that time, there were no carers on the committee, and soon afterwards I applied for a place and was appointed. I have related this history in some detail because I want to clarify just how desperate most carers are to understand the situation in which they are suddenly immersed, – or drowning to be more precise – and their need for support for themselves and to enable them to become part of the solution / recovery /moving forward team for the person they care for. It is unfortunate that although so many strategies involving family members as equal partners have been known for so long, and their crucial value is undisputed, carers / families are either ignored, or are kept at some distance, often viewed with suspicion, by too many Trusts. In reality, no-one is more willing, committed or able, to do everything they can to help than the dedicated family / friend. In addition, the informal support of carers give each other and service users, sharing the personal milestones of their individual journeys, set backs and triumphs should never be under-estimated. Carers provide a life-line for each other in the darkest nights. Staff may come and go, but informal carers are there for life, and for them, there is no ‘switch-off’ time, it becomes their life. I am not denying that some families are not helpful, some family members are the primary cause of appalling problems, some families have a long history of abuse and neglect by society as well as by individuals in that society, but most families are desperate to help, and perhaps there are potentially helpful people in every family. As a member of the ISPS UK Committee, helping organise and contributing to national and even international conferences and meetings has been a delight. There is always so much to learn, awe-inspiring tales of personal courage, survival stories, psychological approaches and insights, commitment, experiences and laughter too to share with others. It’s all been so valuable; being part of a real community again, and everyone there because they see the urgent need for change to achieve better futures for everyone. Most of all, those folk who have survived the worst that could possibly be thrown at anyone and managed to come through as extraordinary delightful inspiring human beings; it’s been a privilege to know all of you. Trusting friendships have been formed with people I would never have met without isps. In stepping down from the committee I will miss all that and you. I will continue to support ISPS UK as a member and to promote ISPS approaches and get to meetings whenever and wherever I can. The disappointment for me, is that my local Trusts have never been seriously interested in anything other than the strictly medical model, and that has become ever more so as funding has tightened and staff have been reduced. Many of the best, most aware and humane staff have left because they can no longer do the job they could and want to do. In addition, the most successful and valuable voluntary support services have been savaged locally (and nationally), many disappearing completely as the funding from central to local governments and CCGs has been ruthlessly slashed. I am in no doubt this will prove to be disastrous, since, the social and economic conditions well known to precipitate mental ill-health, are all increasing apace. We see the impact in depression, self harm, attempted and actual suicides, eating disorders, bullying, school refusals and violence. In less than a generation, we appear to have become a profoundly dysfunctional society, de-civilised, ill at ease with itself, impoverished in humanity, and accepting of widening inequalities. Since 2010, governments have deliberately made large numbers of its most vulnerable citizens and their children into refugees in their own country with its cumulative imposed ‘austerity’ policies. Mrs May described the Tories as the ‘nasty party’; I could use stronger language. The legacy of mental ill-health and further social problems, especially for the youngest most susceptible children is likely to be appalling, and the costs of trying to repair the damage will be astronomical. Damaged children who survive, become damaged parents of the next generations, and so current problems are likely to cascade into the future. I cannot be the only person to be sickened by the current adverts for ‘fairy tale’ Christmases showing heavily laden tables and expensive luxury tat when so many have so little or nothing at all. ISPS UK is not political, but as a member, I am. Consequently, I will be now be seeking political redress of the social injustices escalating around us, and especially those relating to mental distress. I have learned so much from my time with ISPS UK and its committee and will continue to use it all at every opportunity I can; ideally to get ISPS policies and practices converted into political policies. Thank you all for your friendship and the windows you have opened for me as I move into the next phase of my personal journey. IAPT referral, waiting times and recovery figures & antidepressant figures: why hasn’t GP behaviour changed? Supply and demand targets: whose strategy wins? For further information, please follow this link to the official conference page. ISPS UK members will receive a 20% discount of the normal conference prices. If you are interested in attending and receiving this discount, please email our administrator Ali.